(anon). 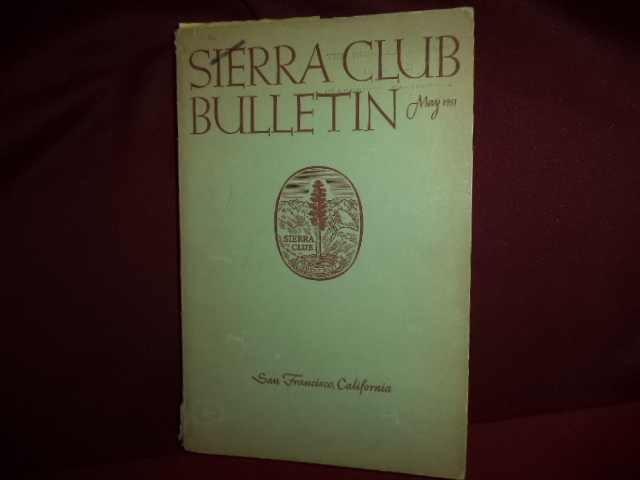 Sierra Club Bulletin. Volume 36, Number 5. Yosemite, Stephen Mather, Avalanches, Mt. Deception, etc. Photo available. Berkeley. Sierra Club. May, 1951. 172 pps. Octavo. Soft cover. First edition. Illustrated. Very good copy. Light shelf wear.